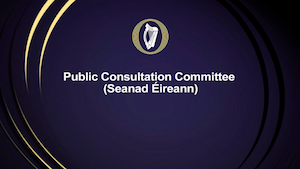 The Seanad Public Consultation Committee was established “to facilitate direct engagement and consultation between members of the public and Seanad Éireann” (pdf). The purpose of this consultation is to invite submissions from interested parties or citizens to consider the most appropriate way the State should treat the National Anthem. This consultation process is being considered in the context of the music and English and Irish lyrics of the National Anthem no longer being in copyright. Legislative proposals have been made to address this issue. Seanad Éireann would like to consult with citizens on their views on this issue. I have already commented at length on this blog about the issue, so I made a short submission to the Committee in which I referred to those posts, and answered some of the questions posed in the Consultation. In my view, the anthem should be treated with respect and dignity, and there is a good case to be made for legislation to protect it from inappropriate commercialisation. However, I do not think that copyright is a suitable means to this end. Instead, I think that it is a matter for a specialist piece of legislation, specifically directed to the issue. I have drafted a possible Bill (doc), and I attached it to my submission to the Committee, and my answers to the Committee’s questions reflect the drafting choices in the attached Bill. 1. Should there be any change to the current status of the National Anthem, where it is in the public domain and free to use by all? There should be no change to the copyright status of the National Anthem. Preventing inappropriate use of the anthem is not what copyright is for. The function of copyright is twofold. First, it incentivises and rewards the production of works, by affording copyright rights-holders legal protection for, and revenue from, the fruits of their labours. The restrictions which copyright rights-holders can impose on copying, publishing, or adapting their works effectively mean that they can be paid to allow such uses. Second, society also benefits by the creation of work of potential economic value or cultural significance, both at the time of the creation of the work, and later when it falls out of copyright and forms part of the cultural heritage from which further authors musicians and so on can draw in the creation of new works. Works that are no longer covered by copyright are instead in the public domain, and are fully available to be used, enjoyed, shared and built upon by all, for any purpose whatsoever, without having to seek permission or pay royalties. A robust public domain is an essential precondition for cultural, social and economic development and for a healthy democratic process. The wealth of information out of copyright and in the public domain is a critical component of our heritage, and provides the building blocks for cultural development and the creation of new knowledge. The freedom to use material when it eventually comes into the public domain is the necessary corollary of the restrictions on use which apply while the material is covered by copyright. This balance – protect the work now, free it for use later – is the grand bargain at the heart of copyright, and you can’t have one without the other. Hence, the public domain is fundamental to copyright law, and once a work – such as the anthem – is in the public domain for copyright purposes, it should remain so. Moreover, taking the anthem out of the public domain for copyright purposes would be incompatible with EU law. Article 1(1) of Directive 2006/116/EC of the European Parliament and of the Council of 12 December 2006 on the term of protection of copyright and certain related rights, provides that copyright “shall run for the life of the author and for 70 years after his death”. That emphasised “shall” is mandatory. It means that the copyright term must run for the life of the author plus 70 years; it means that it cannot be less than that (such as the previous Irish position, which was for the life of the author plus 50 years, and which had to be changed to come into line with this Directive and its predecessor [Council Directive 93/98/EEC of 29 October 1993]; see now section 24 of the Copyright and Related Rights Act, 2000 (also here)); and it means that it cannot be more than that. Consequently, the attached draft Bill acknowledges that the various versions of the National Anthem are in the public domain for copyright purposes. However, just because copyright law should not and cannot be pressed into service to protect the national anthem from being used in an inappropriate fashion, this should not prevent other more straightforward legal mechanisms being pressed into this service. The attached Bill is an attempt to draft such mechanisms. 2.Should the Government issue guidelines on the use of the National Anthem? a. If so, what matters should be covered or not covered? b. Should this include reference to when it is appropriate to play the National Anthem, or restrictions around this? If legislation is not to be introduced, then I agree that the Government should issue guidelines on the use of the National Anthem. I am open-minded about what such guidelines should contain. 3. Should there be legislation introduced in respect of the National Anthem? If so, what should this provide for? 4. Should the National Anthem be officially enshrined in legislation? If so, what versions of the music and words should be used, and in what languages? 5. Should the use of the National Anthem be legally restricted, through the process of copyright or otherwise? This is the point of the attached draft Bill. For the reasons set out above, it does not propose to use copyright to regulate the use of the anthem; it simply does so directly. So, section 3 of the Bill defines the anthem (music, words in Irish, words in English) but section 3(5) acknowledges that all of the versions of the anthem so defined are in the public domain. Recognising current practice, this section defines the music of the National Anthem as the chorus of “The Soldier’s Song” composed by Patrick Heeney (1881-1911); it defines the words of the National Anthem in the Irish language as the chorus of “Amhrán na bhFiann” composed by Liam Ó Rinn (1886-1943); and it defines the words of the National Anthem in the English language as chorus of “The Soldier’s Song” composed by Peadar Kearney (1883-1942). For my own part, I would not make any changes to the music or words of the anthem so defined; but the structure of the rest of the Bill would accommodate any music or words defined in this section. 6. What should be classed as misuse of the National Anthem? How should this be decided and who should enforce it? In principle, guidelines or legislation should be cast in general terms that the anthem should be performed and treated with respect and dignity, and should not be performed or treated with scorn or derision. This use of “should” is intended to be a suggestion, not an obligation, so it makes it a matter for the conscience of the individual, and there is no body to enforce this suggestion. So, section 5 of the Bill prescribes that the anthem should be preformed with respect and dignity, but section 6 of the Bill provides that breach of section 5 does not give rise to legal liability. It is important, I think, that perceived misuse should not lead to enforcement. The current controversy over American football players kneeling rather than standing to attention demonstrates just how difficult any enforcement would be. However, section 7 provides that, where the performance of the anthem is disrupted, and if this disruption amounts to an offence provided for in the Criminal Justice (Public Order) Act, 1994 (also here), then the fact that the offence disrupted the anthem can be taken into account during sentencing. 7. Should the use of National Anthem for commercial purposes, such as for advertising, be restricted? Would charging money for a recording of the National Anthem by an artist be classed as using it for commercial purposes? If the intention of the consultation is to generate guidelines relating to the use of the anthem for advertising and other commercial activities, then section 8 seeks to provide a definition of what will and will not constitute advertising and other commercial activities. Great precision and clear guidance are necessary on such crucial matters, which should be addressed directly and explicitly in their own terms (and not indirectly and obliquely by means of copyright). That is what section 8 seeks to do. 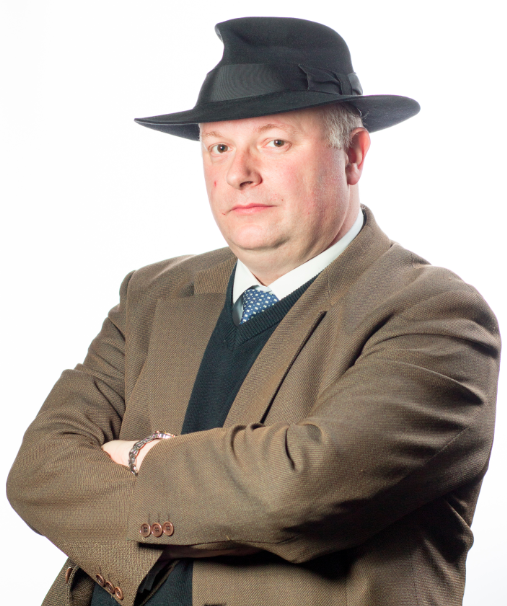 Once the lines are drawn and the necessary definitions provided in the legislation, I would not ban advertising and other commercial activities outright; instead, I would provide that such matters require the consent of the Minister – permission to use the anthem has in the past been a matter for the Department of Finance, and that is the position I take in the Bill, though some thought might be given to whether it should in the future be a matter for the Minister for Culture, Heritage and the Gaeltacht. If the Minister requires a fee for such consent, then section 10 provides for the disbursement of such funds as National Lottery funds. 8. What penalties should be put in place if any proposed restrictions are breached and what form should these take? Where a consent required by section 8 for the use of the anthem for advertising and other commercial activities is not obtained, then section 9 prevents the broadcast of such advertisements, and provides other remedies to the Minister. But, for the reasons given above, that is as far as I would go in terms of penalties. Update: the transcript and video (from 2:30) of the consultations are now available. Enjoy!